Having a functional air conditioner is important to any home or office because of how Singapore weather is. Air conditioners help to keep the living environments cool, so much that it would be impossible to live without functional aircons. Like any electronics in the house, your air conditioner need to be serviced regularly so that it can work well and not break down. There are many ways to service your aircon but we will be looking at two methods that sometimes get confused from each other: aircon chemical wash and aircon chemical overhaul. This is normally done monthly for aircons used for offices and commercial centres. 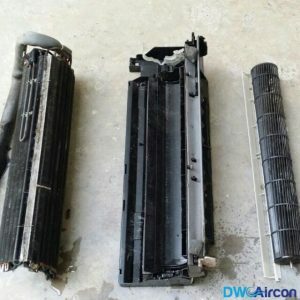 Aircon chemical involves cleaning the front panel, replacing the air filter and washing it to remove all the dirt, debris and any other substances that may be trapped there. These are processes that normal cleaning cannot achieve. This is where chemical cleaning in Singapore comes in, to do a more thorough cleaning of your aircon unit. Aircon chemical washing makes use of several special chemical cleaning agents and water that are used to wash the separate important pieces of the aircon. This will help to ensure that your aircon is as good as new in no time. 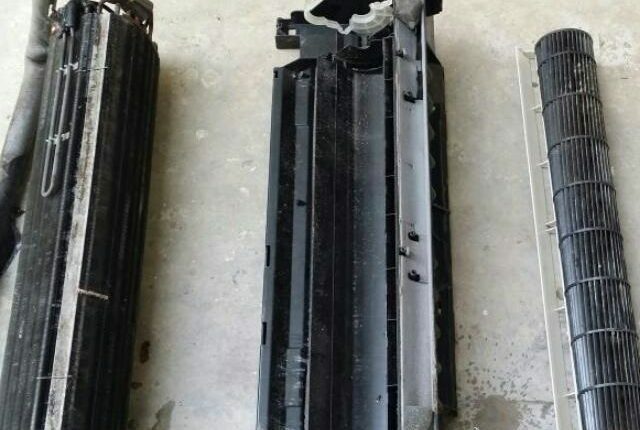 This is also a good opportunity to replace worn out or faulty parts of the air conditioner when cleaning piece by piece having each one inspected thoroughly. Chemical cleaning in Singapore is much cheaper than buying a new aircon or paying for aircon repairs if it breaks down. Aircon chemical washing price is also much lower than that of aircon chemical overhaul in Singapore. Aircon chemical overhaul is normally done as a maintenance measure to correct poor performance of an air conditioner. An aircon chemical overhaul service is normally done when a chemical cleaning has been done and there has been no improvement. This process involves taking the entire air conditioner to pieces and thoroughly cleaning every part of it with a strong chemical solution. This chemical cleaning service will clear the air filters of any dirt that is hanging there and ensure the smooth flow of air through the vents. The fans, ball joints and other parts will be thoroughly cleaned and inspected for wear and tear. Faulty parts will be replaced and the refrigerant gas will be topped up. One of the advantages of an aircon chemical overhaul is that it is effective on aircons that have not been serviced in a very long time and are extremely dirty. It takes a lot more time than aircon chemical cleaning. Whichever method of cleaning you choose to service your air con with, the results are usually extremely beneficial to you. These include less power bills, smoother and more quiet operation, better dust filtering and allergen prevention and longer life span of your air conditioner. 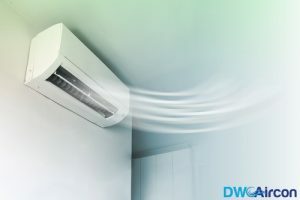 Call us today at DW Aircon Servicing and we will help you get your air conditioner back to optimal working condition.